Homelessness is generally associated with people who are suffering from mental health issues or drug and alcohol abuse. Wellington's infamous Blanket Man was an example of a stereotypical homeless person who made a personal choice to live rough despite offers of accommodation. 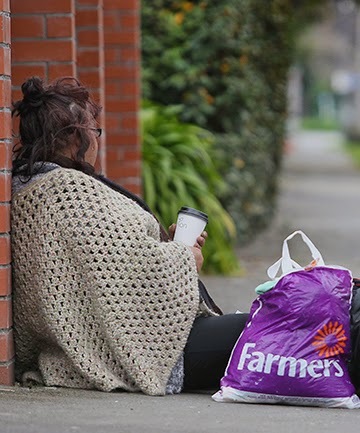 Homelessness is also regarded to be a feature of large urban centres and not likely to occur in places like Invercargill. While I am sure there are homeless people who still live on the streets because of a personal choice to do so, New Zealand is experiencing growing numbers of homeless people who hadn't planned to live this way, but have limited choices. To me it seems inconceivable that a country with a relatively small population, and as resource rich as New Zealand, should struggle to house those desperate for shelter. But times have changed and housing is no longer considered a human right and homeless shelters and emergency accommodation are being closed in many centres despite the demand. 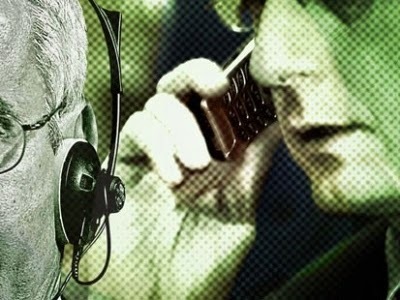 Greens Immediately Become the Opposition. I admit that I was disappointed and slightly gutted that I wasn't part of the new Green Caucus this week, the way we were polling the week before it looked as though I had a real chance. It never happened and the celebratory feeling at the beginning of our election night party slowly morphed into a that of a wake when we realized that the 10% wasn't going to grow. This election campaign was a roller-coaster of unexpected revelations and controversy. 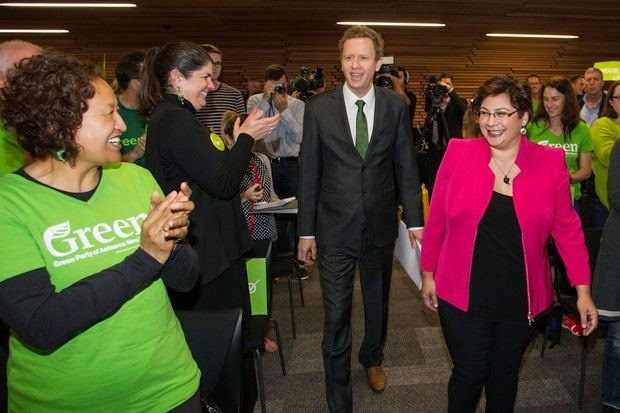 For the Greens this meant our strategy of running a clean campaign, sticking to a clear plan and releasing properly costed, practical policies never made the impression it should have. We never actually put a foot wrong, our leaders always conducted themselves well in all debates and media, and were widely praised by political commentators for their performances. Our television advertising was professional and appealing and, while some of our billboards may have been a little obtuse for many, we didn't get the same level of vandalism that others received. We were able to mobilize 6,000 volunteers and our door knocking and phone calling was at the level of a major party. In Invercargill the scrutineers we placed in our most significant booths were often sitting alone. Out of interest I have looked at each party's list rankings and worked the ratio and percentage of women who would be elected if they got the best possible vote. I compared the parties on the so called 'left' and 'right' of the political spectrum and those that consider themselves in the centre. 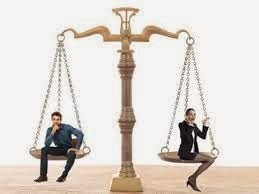 Some time ago I wrote a blog post on the importance of gender balance in governance situations. Obviously as a Green candidate I have a strong loyalty for my own party, but I do follow the media and I do have an insider's advantage of knowing how my party operates. The Green Party has never been so strong and we have spent the last few years preparing ourselves to be fit to govern. 1) Strong and Stable Leadership. 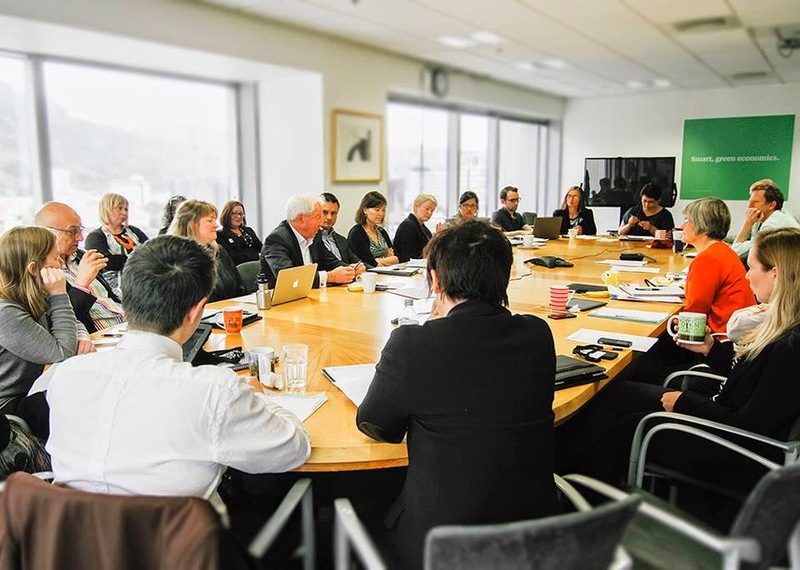 The combined thirteen years of leadership experience (Russel eight, Metiria five) has meant that the Greens have rarely been embarrassed by the the sort of gaffes over policy and discipline that many other parties have suffered. Our leaders have come away from debates and interviews with high praise from the media. Even Mike Hosking praises Russel Norman for his statesman like presence and Metiria impresses with her sharp mind and good humour. The Greens have the most detailed and properly costed policies of any party and our leadership have rarely faltered in promoting it. 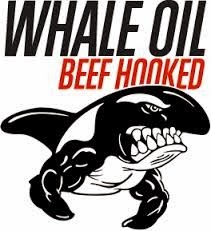 Dirty Politics keeps giving and giving and the latest revelation is a possible link between Anne Tolley and Cameron Slater. Anne Tolley was Education Minister when National Standards were first introduced and, as with all education changes under this government, there was no real consultation and the concerns of the profession were ignored. Teachers wanted the system to be trailled first and there was a nationwide protest when this commonsense request was ignored. The National Government legislated the Standards into law which made any refusal to implement the Standards illegal and Tolley threatened to sack boards and principals who did not comply. Just like Novopay the Standards were introduced half baked while Education Ministry staff desperately tried to create the system as it was in operation. Teachers were forced to attend professional development where the material being presented by facilitators had already been superseded by the constantly changing information online.